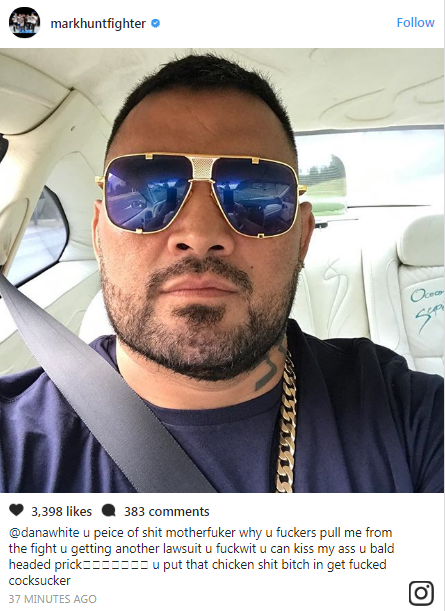 Mark Hunt is pissed off! The UFC heavyweight was slated to fight Marcin Tybura in the main event at UFC Fight Night 121 on November 19 at Qudos Bank Arena in Sydney, Australia. UFC officials today announced that Hunt was being removed from the card, citing “medical concerns.” Hunt was replaced by Fabricio Werdum who just competed and won via first round submission over Walt Harris at UFC 216. That was when Hunt lost it. Hunt recently penned a piece for PlayersVoice.com.au entitled “If I die fighting, that’s fine,” in which he admitted trouble sleeping and said he’s begin to stutter and slur his words. 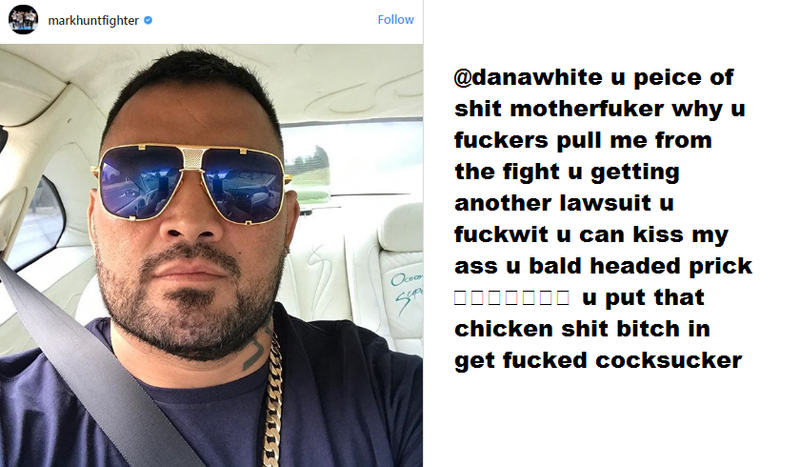 That prompted UFC officials to pull the 43-year-old slugger from the card. Poland’s Tybura is riding a three-fight win streak, most recently earning a unanimous decision win over former UFC heavyweight champion Andrei Arlovski in June. Tybura, the former M-1 heavyweight champion lost his first fight in the UFC via decision to Timothy Johnson but bounced back with a spectacular headkick knockout win over Viktor Pesta, followed by a TKO win over Luis Henrique Barbosa de Oliveira.